I has a mini brick wall concerning my husbands 2x great grandparents. On their son’s (Robert Stephens) Civil War information records it stated he was born in 1845 Doncaster England and came to this country in the early 1850’s. Checking the British BMD data base I found a couple that fit the ages, and names of Charles Stephens (1818-- ) and Hannah Lonsdale (1823- ) marriage. The marriage occurred in the parish church in the county of York and town of Leeds, on 27 November 1842. Charles’s father was James, a farmer and Hannah Lonsdale’s father was, John Lonsdale, also a farmer. I felt this was the right couple as the marriage record but did not have the proof. Charles was a florist at the time. I first found Charles and Hannah in Allegheny City (now Pittsburgh) in the 1870 census and his occupation was a gardener. They still lived there in the 1880 census and after that time Charles and Hannah disappeared of the face of the earth, or so it seems. I have been searching for them in the local cemeteries but have not found them. Robert was not living with the family at that time, he was living in Allegheny County with his first wife Sarah. There was documentation about Sarah and their marriage in the Civil War Pension file. When Robert Stephens died his wife did not know the names of his parents. 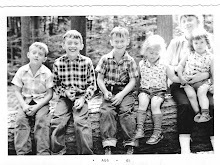 What I did was search the Pennsylvania Death Certificates 1906-1924 and tried to find his siblings. After a search I came upon the death of his brother James H Stephens and it did indeed list the parents as Charles Stephens and Anna Lonsdale. Mission accomplished..Seems that James was named after Charles’s father. I have been waiting, and not too patiently, for the release of the Death Certificates from the State of Pennsylvania. That time has come and I have been busy perusing them and adding them to my tree. I have found a few surprises too. In the Baptism records of St. Thomas Church I found a Baptism record for Joseph Clarence O’Rourke, with my great grandparents listed as parents, Patrick O’Rourke and Ellen Mortel. Since they were in their late 50’s at that time I was very suspicious about the parentage. [Ancestry.com. Pennsylvania, Death Certificates, 1906-1924 [database on-line]. Provo, UT, USA: Ancestry.com Operations, Inc., 2014. Is JR O’Rourke my great grandfathers brother? I know that according to my fathers notes that Patrick had a brother John and James living close by. The two brothers were sponsors at many of Patrick and Ellen’s children Baptisms. The next item I found was really serendipitous. While searching all the O'Rourke's in Allegheny County PA, I came across a death for John O’Rourke; upon closer inspection I found he was born in 1843, in Ireland and his parents were Denis O’Rourke and Mary Griffith. The person giving the information was my great grandfather Patrick O’Rourke. Patrick and Ellen were the only O’Rourke Family in East Pittsburgh at that time. I knew that Denis and Mary were the names of Patrick’s parents and now I am 99.9% sure that they are my 2x great grandparents. I have been looking for her name since 2008. What I need to find out is John O’Rourke and JR O’Rourke the same person? Every find precipitates more questions.